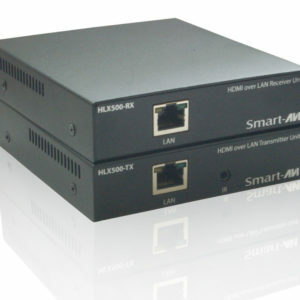 SmartAVI HDMI Extenders over LAN offer the ultimate in lightning-fast HDMI signal extension over local area networks (LAN). Simple, affordable, and effective HDMI extension via local networks! HDMI extender for enhanced signal range up to 500 feet away via CAT5 cabling.